When you come to Anderson Forklift to purchase a new machine, or a used machine tuned-up to excellent condition, you should consider two things above all else: the physical features of the space in which the forklift will operate and the physical requirements of the equipment. When you purchase a forklift to operate indoors then the aisle width within the warehouse should be the first consideration. The forklift should be able to safely operate through the aisles without damaging the merchandise or potentially harming an employee. Indoors, it’s also important to spec the appropriate lift height of the machine—remember to spec the maximum reach requirement to which you’ll need the machine to work—and the possible overhead obstructions. If you need an outdoor-type machine then obviously some of these requirements may be frivolous—outdoors, usually, there is little-to-no requirement for reach height, and the aisle width is usually not important—although one important consideration for an outdoor forklift is the type of tire; a tire that can withstand the possibility of tire puncture. Indoors, you’ll want a tire that’s best suited to the floor conditions of your warehouse. determine the amount of infrastructure you have available; if your forklift requires rapid refueling then gas and propane work best. Second, when you have determined the size and physical capabilities of the machine, you will want to determine the accessories. It may seem unimportant, but consider the space. When a warehouse is poorly lit, a machine should have more truck lights. If there are pedestrians working around the machine, the machine should be well-equipped with operational warning devices. 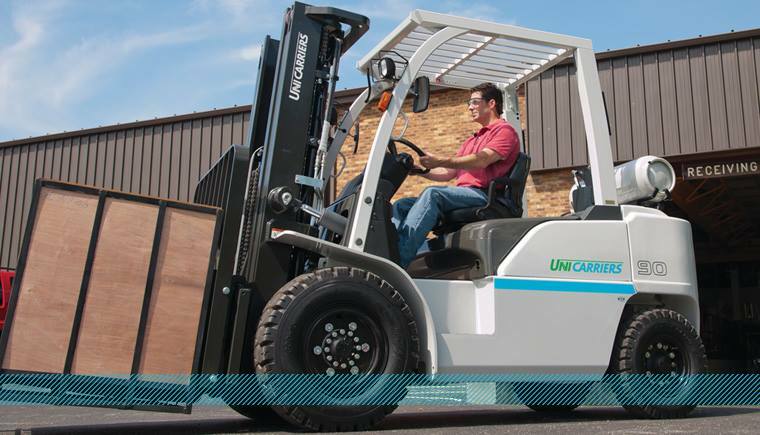 If you have any questions or would like to speak with the Forklift professionals at Anderson Forklift about the specs for your next machine—new or used—then call today. © 2019 Anderson Forklift, Inc. | Website by Blast Creative, Inc.